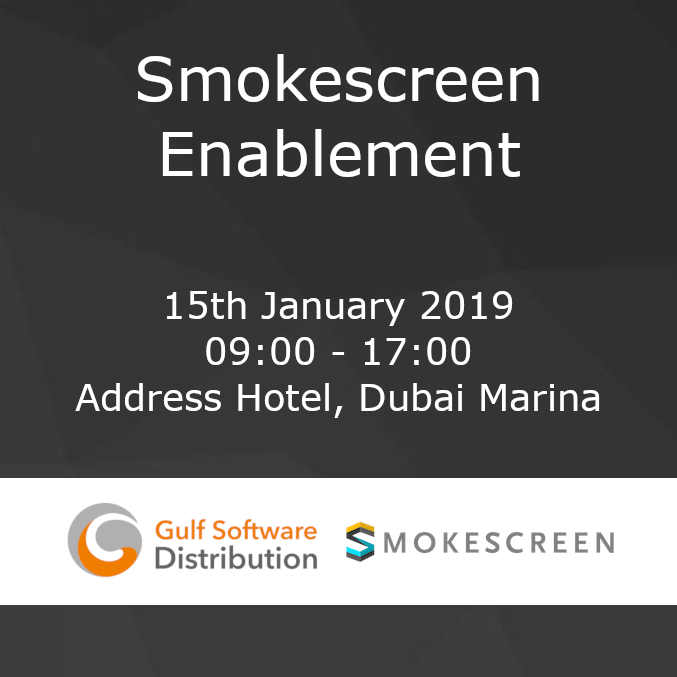 Gulf Software Distribution invites you to a day-long immersive briefing of Smokescreen's award-winning deceptive platform - IllusionBLACK. Learn what makes deception one of the most effective threat detection technologies in a world where preventive defenses no longer keep the bad guys out. Set-up, deployment, automatic decoy creation, incident response, orchestration via negative integrations.. Get a first-hand experience of the IllusionBLACK platform. Understand what differentiates a specialized deception defense solution like Smokescreen IlluBLACK from commodity deception platforms.